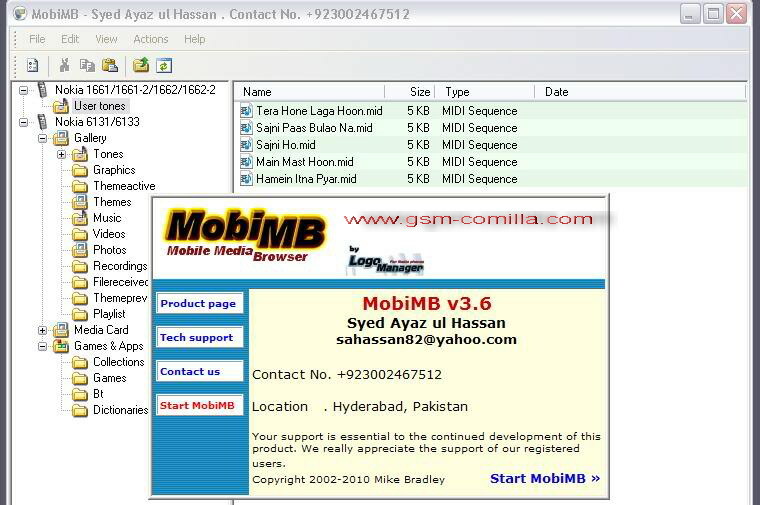 free MobiMB 3.6.0.2 Registered Version. Note : Some users reported AVG detect virus in my previous release, i Fixed Virus Problem in MobiMB 3.6.0.2 for AVG Users. Scaned with AVG, kaspersky, Norton Symantec Antivirus, its 100% clean, No Virus in this version. Enjoy virus free MobiMB 3.6.0.2 Registered Version. Tested with Nokia 1110,1112,1202,1203,1208,1209,1600,1650,1661,1662, 1680,2330,2600,2630,2700,5030,7100,5130,6131.